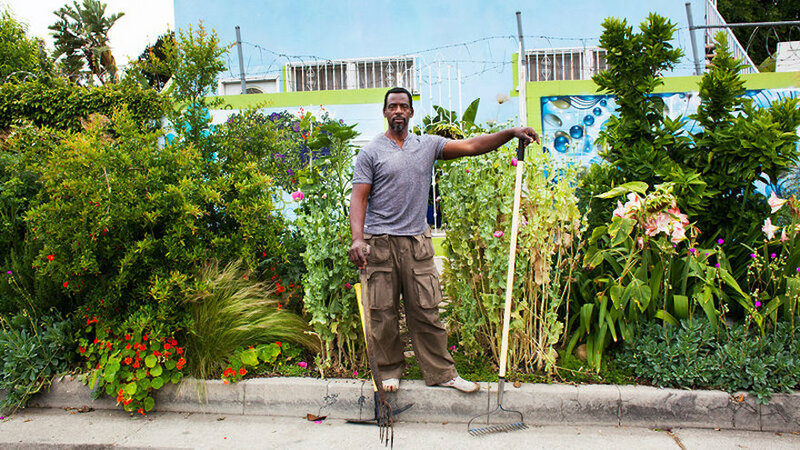 Ron Finley plants vegetable gardens in South Central LA to offer alternative food sources. When considering the availability of and access to fresh, nutritious food around the world, few people consider the element of racial injustice. But anyone living in cities still largely segregated by race and class can attest to the disparity in the availability of healthier foods in poorer, black neighbourhoods when compared to wealthier, white suburbs. South Central Los Angeles is one of these so-called ‘Food Deserts’, an area – especially one with low-income residents – that has limited access to affordable and nutritious food. 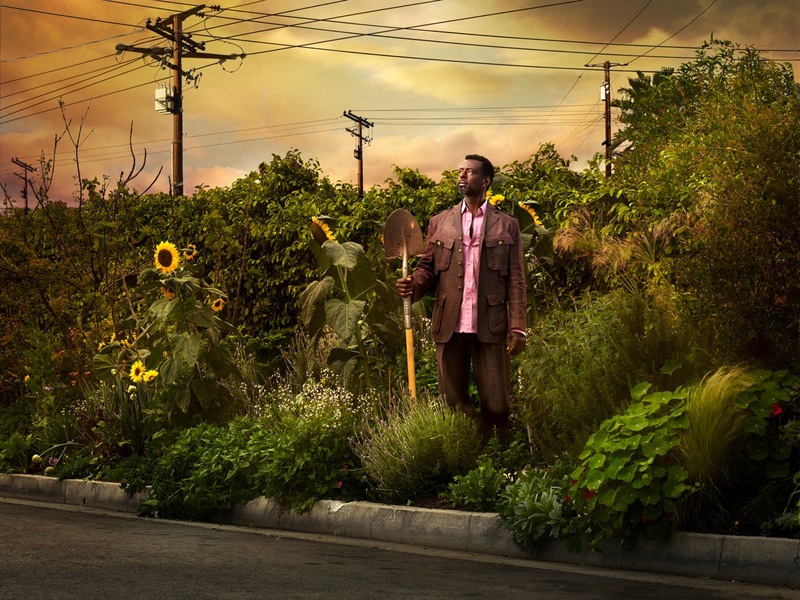 In a 2015 piece, he wrote for Fortune.com, Ron Finley – aka the Gangsta Gardener – described a visit to a local grocery store: “I remember going to a store in South Central L.A. and picking up some tomatoes. The stickers on them read: 'Coated with shellac.' I thought to myself: 'Isn’t that the stuff we used to coat wood in my high school woodshop? Why is it on these tomatoes?' That’s when it really hit me." Tired of the countless fast-food joints, rising levels of obesity and increases in deaths from curable diseases in the area, South Central resident and former fashion designer Finley has made it his mission to redesign his community’s approach to food and produce by teaching them effective gardening skills and how to regenerate their lands into creative, fruitful business models. In 2011, Finley decided to plant an edible garden in the median strip parkway in front of his house for local residents. For this, he was fined by the police and a warrant issued for his arrest when he refused to pay. Eventually, though, the warrant was suspended and his front-yard food forest thrived, yielding everything from kale, pomegranates, sunflowers, and bananas. Emboldened, Finley planted more produce in his back garden, helping residents around the neighbourhood to do the same. Today his home is the site of the nonprofit Ron Finley Project, an initiative he began to spread the idea of community-run, edible gardens. His backyard includes an Olympic-sized swimming pool full of plants and his catalogue of produce includes Valencia oranges, pomegranates, Red Russian kale, fennel and much more. As local residents see their food springing up right outside of their homes, it creates a shift in their mindsets, explains Finley, in terms of what is possible and what they’re capable of. 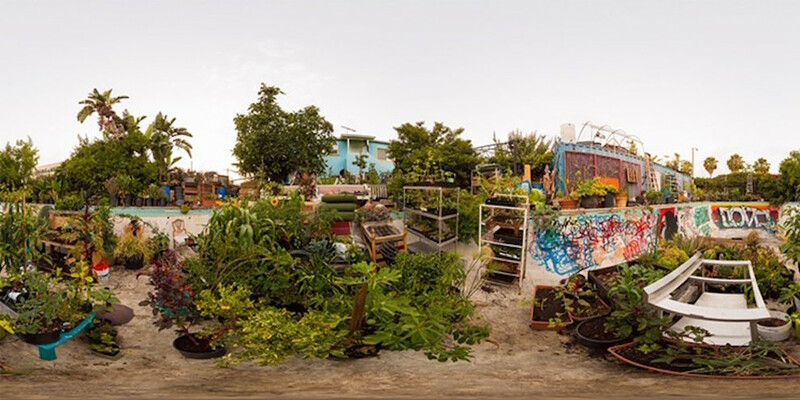 Planning to build a larger urban garden, gathering space and community hub in South Central L.A., Finley intends for it to be a space where people learn about nutrition and join together to plant, work and unwind. "It kinda ain’t about food,” he told the Los Angeles Times, “it’s about food justice. If you aren’t eating healthy, nutritious, vibrant food, how’s anything in you gonna grow?"